Bring smiles and joy to your next event with colorful balloon party bundles! 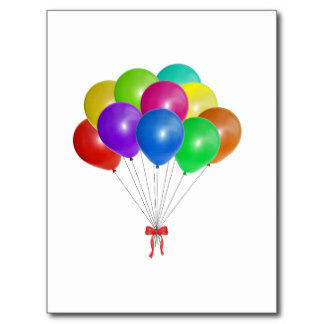 Colorful balloon party bundles are a neat way to take the hassle out of sprucing up your next event. Consequently, party bundles are the simplest way to decorate! Whether your celebration is at home, ballroom, convention center, trade show, park, etc., let our team of professional balloon artists add a magical touch to your event. By and large, party bundles are perfect for simple centerpieces or free standing bouquets. To begin with, each 11″ Helium filled latex balloon is treated to float several days. Next, we attach the balloon to a 6′ strand of color coordinated ribbon, then inflate & bag, ready for pick up or delivery! For an extra fee, we can provide them in bouquet format with a decorative balloon weight. Finally, at the end of your event, invite your guests to take home a fun memorabilia by donating your balloon party bundles! Easy & economical way to bring a rainbow of colors to any event! Think of the fun, photo opportunities you’ll provide with these colorful attention getters! Take the stress out of creating a memorable moment and call us now! We have many different colors in stock. Simply tell us what bundle you’d like, what colors, when the balloons are needed and we’ll take care of making it happen. Satisfaction guaranteed! Although the smallest of the Party Bundles it will still pack a punch at almost any event. Definitely suitable for a few rooms in the house or as a little extra to make your event festive. Ideal for space that is a little larger. Watch your guests walk in and smile as they take in the spread of colors! Recommended for a large space or maybe just to create that “over the top” feeling for any event. Consider yourself a “DIY” person? In that case, rent a helium cylinder directly from Volunteer Balloon Decor!